During the performance issues of database servers and database itself, one of my activities to improve performance of the Indexes. I have created some of the clustered indexes on tables which have only non-clustered indexes and also on some heap tables. Also, I have created some additional non-clustered indexes called as Covering indexes and some of having composite indexes. After creating or having so many indexes on tables, it is real time to check the usage of them as which indexes are used by execution plans or query plans among them. We should review the index statistics and usage report of all the indexes of tables as how they are seeking, scanned and update. Let us pick one example and will create one table and some of the indexes as well. Now We will create one clustered index, Normal non-clustered indexes, We are not creating additional non-clustered index here. 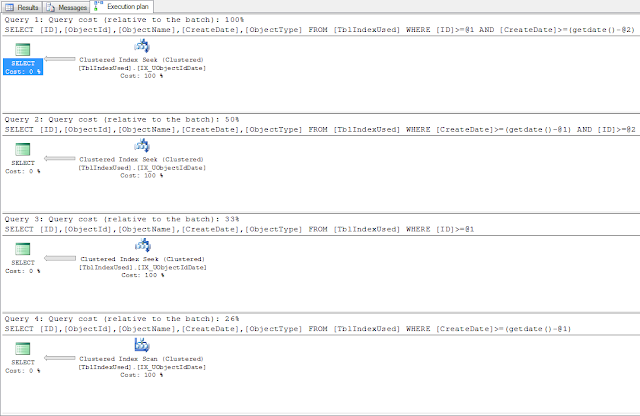 -- Creating clustered index on ObjectId column. 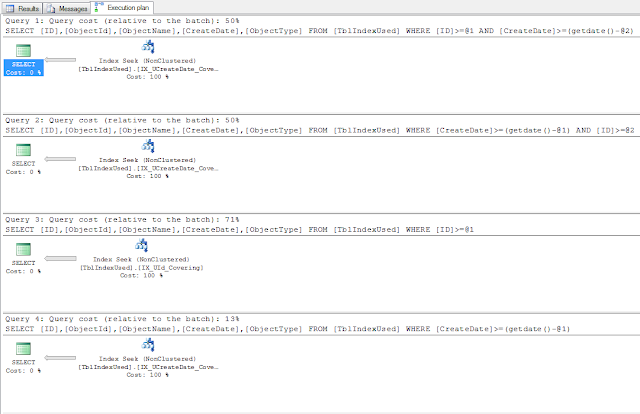 -- Creating normal nonclustered index on CreateDate column. Now we are running the below query to check the usage of the above created index on the table. Once again we will create a more indexes, but they are additional covering indexes. 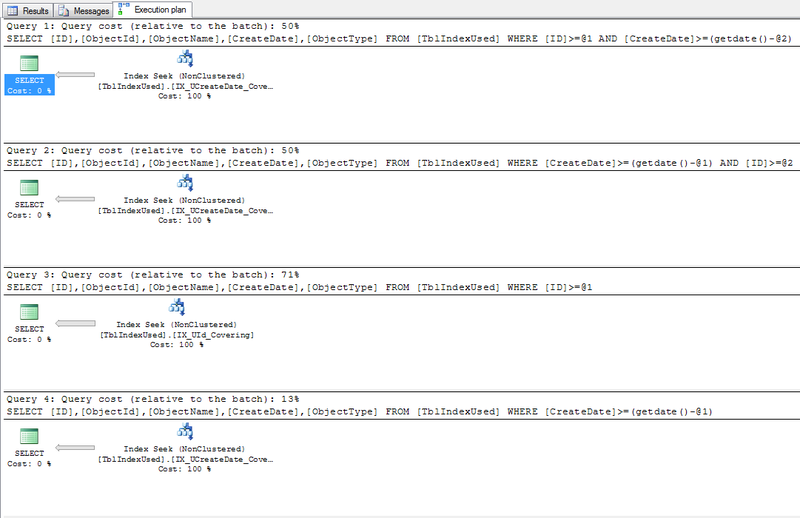 -- Creating covering nonclustered index on CreateDate column. 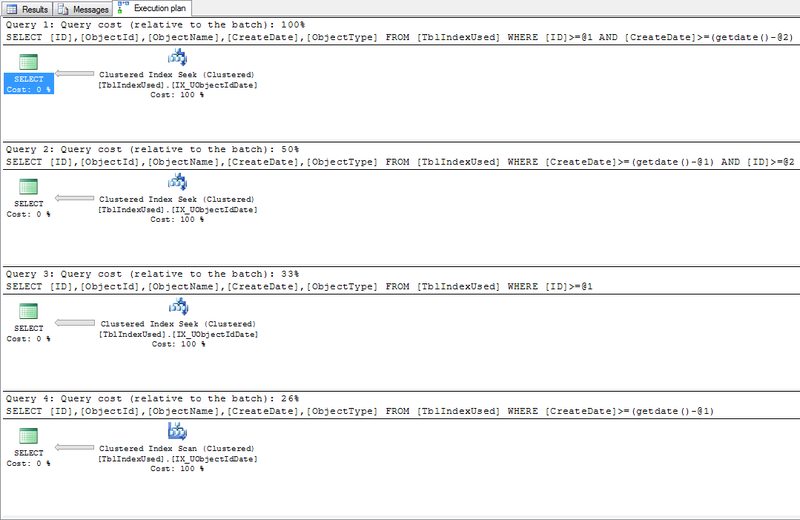 After creating covering indexes we are reviewing execution plans again for the same above queries. You can see here the difference between both of the execution plans and impact of indexes on queries and the index used for the same. Some good points. IT is also important to maintain statistics , so the optimizer can make the right choice.